Ladies and gentlemen, those of you preparing to leave the theater because you thought the Saab opera was over, well, take a seat. After sinking a fair bit of money into the troubled Swedish automaker while chasing the deal, Youngman isn't ready to walk away. According to Reuters, the Chinese firm is ready to make a new bid for the Swedish brand as soon as next week, and it could be worth more than a billion Euros. Stay with us, because as you might expect, it's a bit convoluted. The door appeared closed on Youngman for good when General Motors, which engineered much of the technology in the 9-5 and 9-4X, said it wouldn't do a deal that risked harming its position in China (read: they feared they might lose their intellectual property rights). As it was, the Saab deal brokered with Youngman would make General Motors compete against another company for which GM was building cars and that was using GM technology. To get around that, it appears that Youngman has proposed buying Saab and not using GM tech, which, that's right, would mean walking away from the still-new 9-5 and 9-4X. 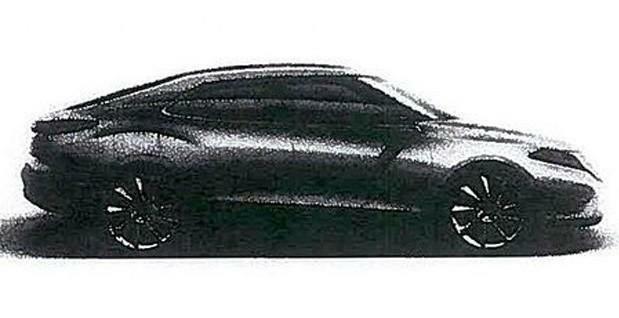 Instead, Youngman would restart Saab production with a brand-new 9-3 (said to be the car in the grainy image above) and would hope to do it in as little as 15 weeks. The Chinese company has Saab's Phoenix architecture in mind, which is ready to go and said to be essentially free of GM intellectual property. According to Just-Auto, Phoenix-based Lotus variants for China are also under consideration, but with Proton's pending sale to DRB-Hicom that plan seems a little unsure. A group of European auto suppliers headed by Bosch has traveled to China, on Youngman's dime, to investigate the possibilities and practicalities of just such a plan. As to how aggressive GM might to safeguard whatever interests it has in the Phoenix platform, the supplier-body CEO quipped, "The 9-3 is not a big risk to GM - there has to be a limit to how nasty they can be." On top of that, there might be questions about how many of Saab's assets are still even available for purchase. Reuters said that engineering firm Semcon SMC.ST agreed to buy key Saab technology, but a report on fan site Saabs United counters that the sale was declined over factory utilization. Saabs United also says that a Youngman-built 9-3 might only be sold in China. The Youngman CEO and his daughter Rachel Pang are apparently due in Sweden next week to further the bidding process, but we should have more word on the Bosch-led supplier trip soon enough.China's Youngman to wage new bid for Saab originally appeared on Autoblog on Thu, 19 Jan 2012 13:00:00 EST. Please see our terms for use of feeds.